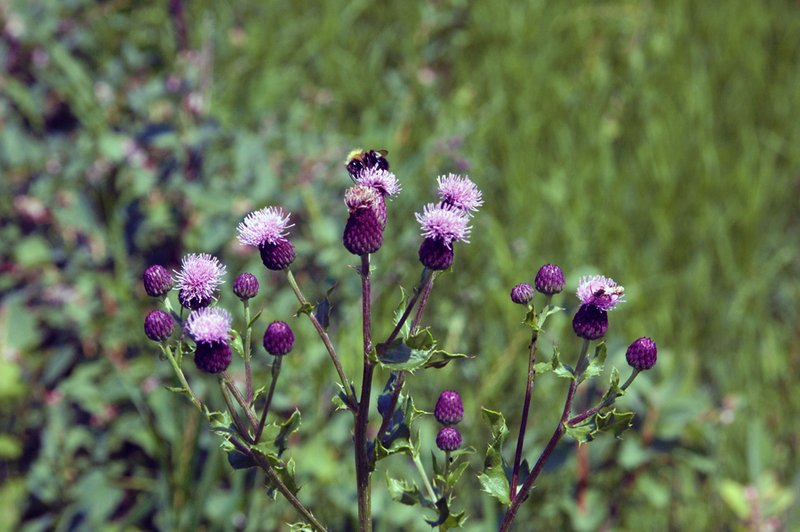 Despite its common name, Canada thistle is native to Europe. It was most likely introduced to North America in the 1600s as a contaminant in seeds. This highly competitive weed invades crop fields and grasslands where it lowers crop yields and forage productivity. Its ability to quickly establish on disturbed and open soil allows it to spread across the urban environment in green areas along roadways and in flower and vegetable beds. 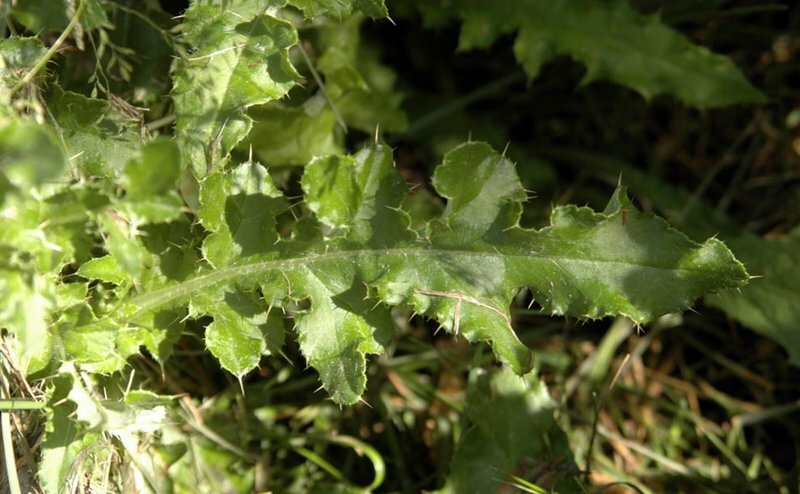 Canada thistle is one of the most problematic weed species. Among thistle species, Canada thistle has a characteristically small flower head that grows to a maximum of 1-2 cm wide. The flowers are typically purple and occasionally white. Although this species is quite prickly to the touch, the stem is actually smooth and has no spines or wings. One reason for its “success” as a weed is its capability to reproduce by seeds and by its creeping roots (rhizomes). Plants can regenerate from very small root pieces in the soil. It is probably the oldest regulated species in Alberta; the first legal document addressing weeds in our region was the 1865 Canada Thistle Act of Upper Canada. 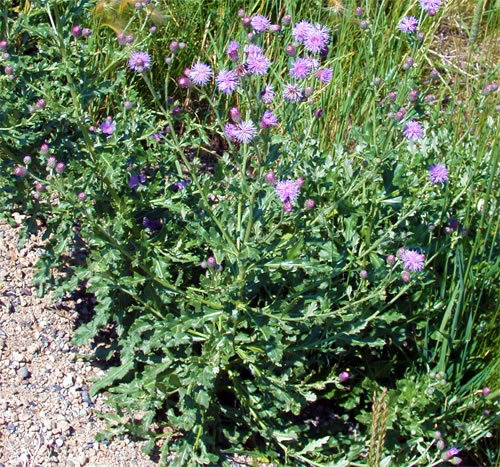 Canada Thistle is the only species of today's Weed Control Act that was already regulated in the first Alberta weed regulation in 1907.